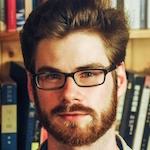 Alec Ash is a writer and journalist living in Beijing, where he has written for The Economist, 1843, Dissent, and other publications. He is the founder of the Anthill, a writer’s colony of stories from China, and the author of “Wish Lanterns,” published this summer by Picador. Young China Watchers (YCW): You studied English literature in college and moved to China soon after graduating. What drew you to China? How did you end up in Beijing? Alec Ash (AA): I ask myself the same question, and have yet to come up with a good answer. The best I can manage is “accident,” along with many other migrants of my generation. I grew up in England, and the summer after graduating I taught in Qinghai province, backpacking around China for a few months. There was a dynamism to the country that drew me in, and everyone was talking about it with the Olympics coming up. The feeling was that this was the frontline of the 21st century. One year later, in the summer of 2008, I came back to learn Mandarin in Beijing and started to write about the place—first on blogs, then journalism, and now this book. I stuck around for the best part of the last eight years, and have no plans to leave in the immediate future. YCW: There is an abundance of literature and writing on China. What are some of the genres that, in your opinion, are under-written or under-read? What are the challenges you face in creating a platform for China writers in the Anthill? AA: Readers are spoilt for choice when it comes to the China shelf of their local bookstore. Pankaj Mishra described this as a “golden age” for China writing in the forward to a book called “Chinese Characters,” to which I also contributed. I’ve always liked a more literary kind of narrative journalism myself, and sometimes I think the bird’s-eye views of China get more attention than those worm’s-eye reports from ground level that bring the country to life in human detail, although there are also many well-loved examples. In setting up the Anthill, I wanted to create a space for young and new writers in China to share their stories which they might not get to publish otherwise. We published an anthology last winter called “While We’re Here,” and in a Sinica podcast we did for it, Kaiser Kuo made a tongue-in-cheek comment that Beijing can feel like a writing hotbed, similar to Paris in the early 20th century. That might be wishful thinking, but I think any story from this country at this time in history is fascinating and good value, if it’s told well. YCW: Your book “Wish Lanterns” follows the lives of six young Chinese millennials. What is unique about this population of 300 million young people? AA: In a word, everything. The only generalization you can make about a group this large is how complex and diverse they are—and that itself is something new, as their parents didn’t really have the opportunity to be different or explore a proper youth culture, and the excitement of the ‘80s was cut short in 1989. In a young generation which encompasses a rich kid studying at Harvard and a hairdresser’s assistant in Datong, it’s impossible to capture the whole picture. But I did take pains to find and follow six people from different locations and backgrounds, so as to bring out that diversity: there’s Dahai, a military child and netizen; “Fred,” daughter of a Party official from Hainan; Lucifer, a musician and wannabe superstar; Snail, a country boy from Anhui who got addicted to World of Warcraft; Xiaoxiao, an artistic type from the northeast; and Mia, a former skinhead from Xinjiang. The idea is to show the challenges, pressures, hopes, and dreams of a generation that will have a huge future impact on the world through the stories of these six individuals as they grow up and struggle to succeed. 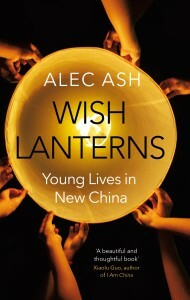 Read an extract of Alec Ash’s book, “Wish Lanterns,” here. YCW: What did you try to do differently in your approach to the topic, as opposed to other contributions to the “China book” genre? AA: One of my earliest decisions was to take myself out of the book completely. In a lot of non-fiction, what the author says of his or her own experience observing China is the filter through which the reader understands the country. That voice can be a really useful guide, a Virgil for the reader’s Dante, and is often an essential reminder of how you’re getting your information. But I chose to write only about the lives of those people I followed, for the simple reason that I was always going to be the least interesting person in the room. So I back-reported each of the six characters’ stories, witnessed the more recent developments in their lives, did everything I could to delve deep inside their lives, and then got out of the way. The result is a very narrative book, with short interweaving chapters that hopefully carry the reader along with these people from childhood to present-day, sharing their experiences with empathy. YCW: Finally, given your experience as a resident and storyteller, what are this generation’s main struggles—and triumphs—in modern Chinese life? AA: I think we’ve never seen a generation with higher expectations for the future, in a society and politics that often doesn’t allow for those expectations to be met. In researching the book and talking to potential characters to write about, time and again I was struck by the personal drive and ambition of young people that came up against a brick wall, whether it was unequal opportunities or a rigged game where the rich and powerful take all the spoils. Especially for the generation I write about in the book, born between 1985 and 1990, they haven’t had it easy: dealing with a lot of pressure from an early age, struggling to get ahead, to find a partner, and to find meaning beyond the rat race. I think of them as the “wedge generation,” opening up a new future for China while still stuck themselves. And I do think these are the generations that will radically transform China, not suddenly through protest but slowly through the generational and cultural shifts that will bring the change politics hasn’t.